The Partners of Riding Into History support our event in many different ways. Some help financially, others with donations of their professional services and volunteering. Many of our partners help financially, with services and volunteering for Riding Into History. We would not be so successful and be able to give a generous charitable donation every year without their support. RIH thanks them all and look forward to seeing everyone Saturday, May 19, 2018, at the World Golf Village. Please stop by their booths and show them your support. One of our newer partnerships is with Automotive Addicts. They hold a Cars and Coffee event every second Saturday of the month at the Avenues Mall parking lot in Jacksonville, FL, 8am-11am. On the second Saturday of March, Cars and Coffee is held at the Amelia Island Concours. Founder Malcolm Hogan and co-owner Chris Brewer have given us prime space at their monthly events. They also are great promoters of our event. We are very grateful for this relationship. The AMCA (Antique Motorcycle Club of America) Sunshine Chapter is a loyal partner to Riding Into History. 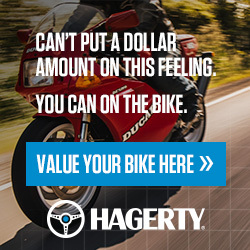 Our mutual respect for vintage motorcycles and their collectors ties them closely to us. They also contribute financially and provide manpower for our event. They hold an annual Swap Meet in New Smyrna the first weekend of Daytona Bike Week. It is a must go to event. 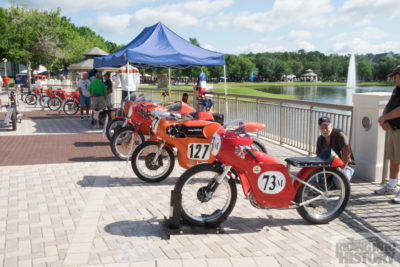 Additionally, the AMCA Everglades Chapter, another supporter of RIH , has the Dania Beach Vintage Motorcycle Show the last Saturday of January. For many years, BMW Motorcycle Club of Northeast Florida (BMWNEF) has been one of our partners that has been involved in all parts of supporting Riding Into History. They’ve given very generously financially. They have been one of the pillars of our organization with many members holding key chair positions including running the event. The volunteers that help every year at the event are priceless. We look forward to a continued strong partnership. 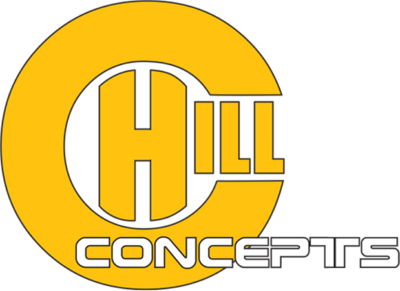 Keeping up with the latest and best website technology is what Chill Concepts does! Cindy McLean of Chill Concepts is a full-service website developer. Riding Into History is lucky, because she is also an avid vintage motorcycle collector and, get this…a vintage motorcycle racer. RIH has grown from just a web page to a full-service site because of Chill Concepts donation of time and dedication. 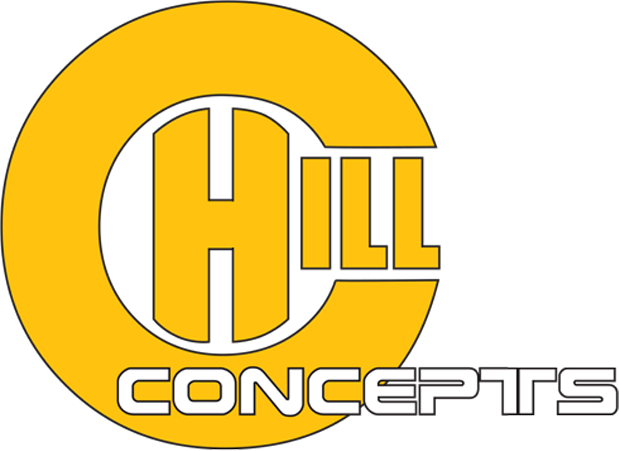 If you want a high-quality website contact Chill Concepts. Anyone that attends Riding Into History will be shown where to park by the local chapters of the Christian Motorcycle Association. They spend endless hours directing, trailers, cars and motorcycles where to park. Additionally, they lead our Charity Ride from the Adamec Harley-Davidson dealership on Baymeadows Road. RIH depends on them every year and they always come through. 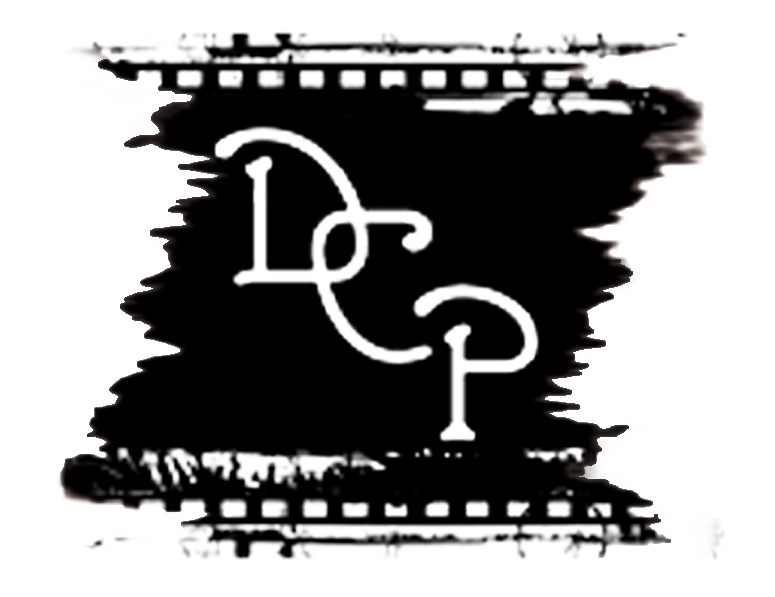 Dohms Creative Photography. Jim has been a long-time photographer for Riding Into History. He has been extremely generous with his photographic donations. Jim will do beautiful private photograph sessions of your bike. This year’s poster is an artistic photograph of a motorcycle owned by good friend Dale Walksler. This was taken at the amazing Wheels Through Time Museum, in Maggie Valley, NC. Dale has every bike running in his museum. In 1987 Folio Weekly started an alternative publication in Jacksonville. I have been a reader of this still free publication from the beginning. It offers all different points of views about things going on in the community we live in. 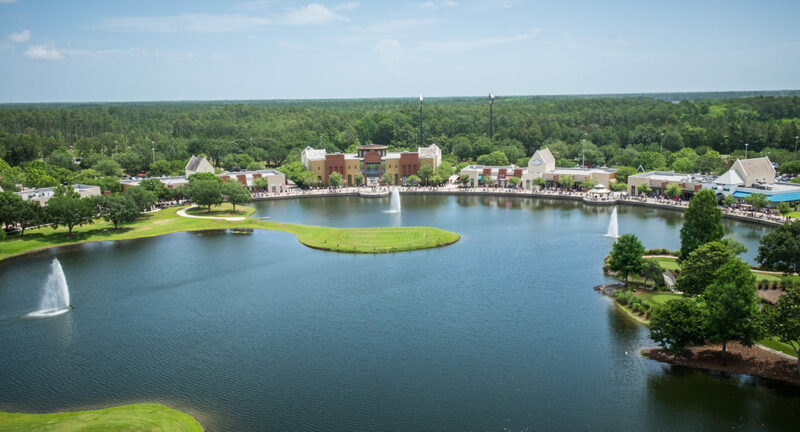 Folio Media House has now become one of the largest publications, in the Jacksonville area, reaching very far into outlying areas of Northern Florida and Southern Georgia. Sam Taylor, the publisher is an avid motorcycle restorer, collector and rider. He has been our biggest supporter of media advertising. He has taught me a lot about communicating with my other partners. Make sure to pick up your copy of Folio Weekly in establishments all over. One of the more interesting organizations that support RIH is the Historic Motorcycle Society (HMS). 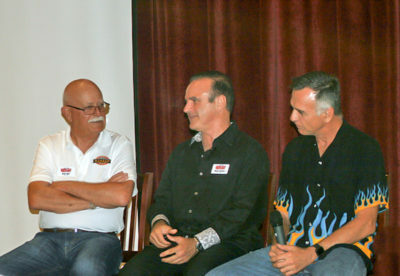 It started about 10 years ago with a group of distinguished gentlemen interested in vintage motorcycles and riding. It is now an international organization that organizes social events and rides. They always lend volunteer support and many of them hold leadership positions in Riding Into History. The Jacksonville Beach Chrome Divas started their chapter in 2005. They have been a volunteer force at Riding Into History since 2005. They are the “Gate Keepers”. Their smiling faces welcome all the spectators to RIH. During the concours they are giving water away to our thirsty guests. Without their diligence, our generous donations would not happen. For the past three years, Jennifer Samioglou has been the Chair of RIH. All our promotional materials are designed by the talented Louie Preysz of LPI Design. He has generously donated his time on the design layout of all our materials. He is recognized by his peers for his excellence in graphic design. He was introduced to us through his wife, Heather a former JB Chrome Diva. 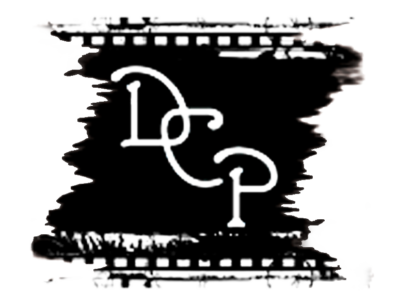 For the best graphic designs, contact Louie at LPI Design. 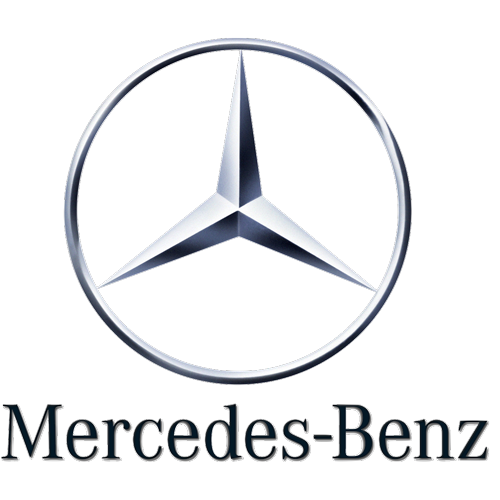 One of the many perks we offer our Grand Marshals is the use of a brand-new Mercedes-Benz. Walt Brown a past Chairman of RIH, was an instructor for Mercedes-Benz, USA. 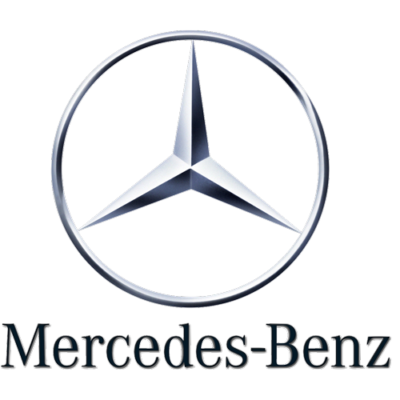 Although Walt has retired, Mercedes-Benz has continued lending us a Mercedes. In the past they have also provide other transportation services for us. Now in its third decade, MotoEuro Garage is a private, non-profit organization dedicated to the preservation and restoration of significant European motorcycles. In addition, they provide a broad range of services, ranging from motorcycle tour and travel planning to web site development. The priceless service they provide Riding Into History is a one of a kind state of the art program for our database, class organization and judging process. It is one of the reasons we are the best motorcycle concours in the country. In 2012 our featured marque was Japanese. It was also the 35thanniversary of the Vintage Japanese Motorcycle Club (VJMC). They set up a club booth and a relationship developed. They have been strong and loyal partners. When AIMExpo was in Orlando, Vice President of VJMC, Peter Slatcoff, offered us prime real estate at their VJMC display. And last year they stepped in to handle the check-in process for the Grand Marshal Dinner. They also offer many volunteers during the concours. The first weekend of Daytona Bike Week, Vintage Motorcycle Alliance holds a swap meet in Eustis, FL. VJMC holds a very nice bike show during that event.